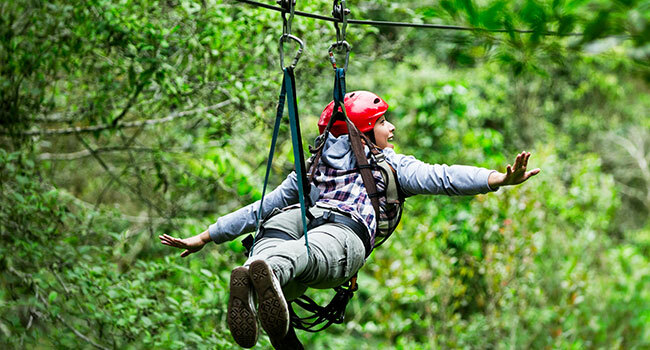 If flying through the air sounds like an enjoyable time, then zip lines might be right for you. 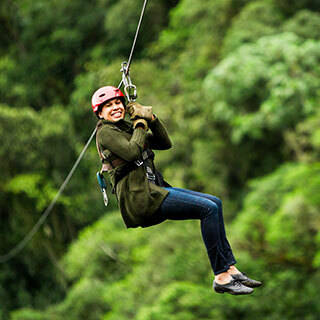 Zip lines – known around the world as aerial runways, death slides, foefie slides or the flying fox – consist of a solid metal cable strung from a higher area to a lower one. 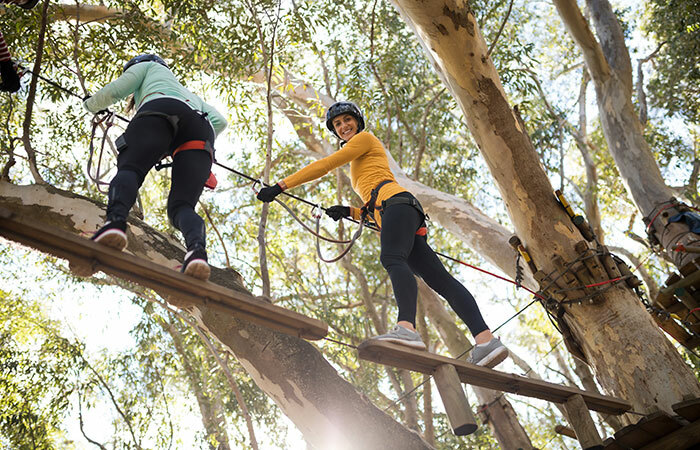 Originally, zip lines were found in outdoor workplaces like mountains and canyons, where they transported whatever was needed via a pulley on the zip line. 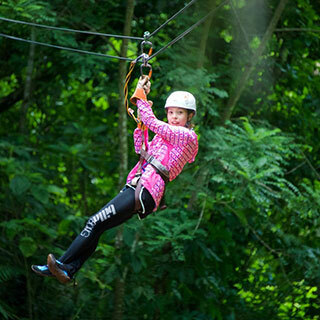 Zip lining has been developed into a recreational sport rather than just a transportation method. No longer just a convenient way to ferry supplies, zip lines in the backyard can be fun. But due to high speeds – especially with the trend of setting up lines fast and high in order to achieve greater velocity – you could create a ride in your backyard that is challenging for adults, but dangerous or impossible for children. Who can set up a zip line? Anyone, really! Zip lines are simple to set up. 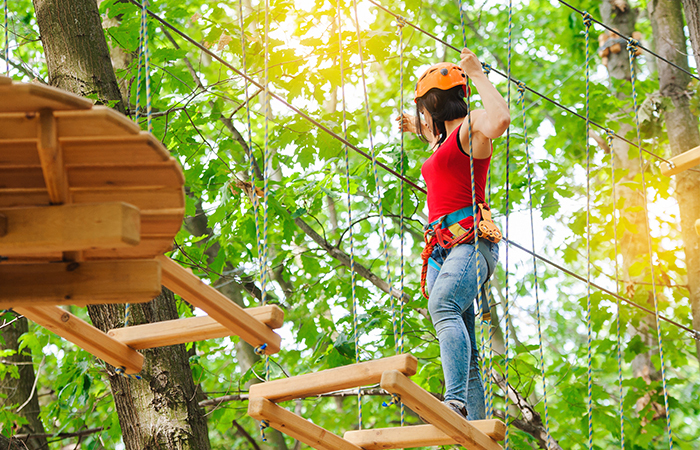 Anyone with basic handyman skills is fully capable of installing a typical zip line in their home or backyard. 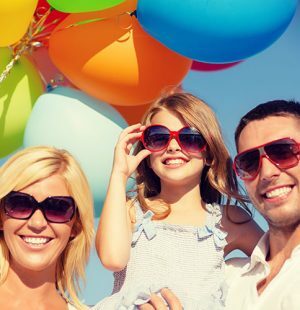 Much of the process will depend upon how your backyard is constructed, as you may have to improvise a few items here and there in order to get the zip line that you desire. 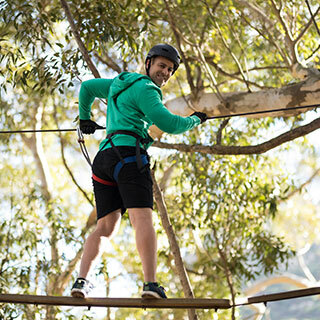 But with a few basic tools, a plan, and an idea, you can create your own backyard zip line without a problem. 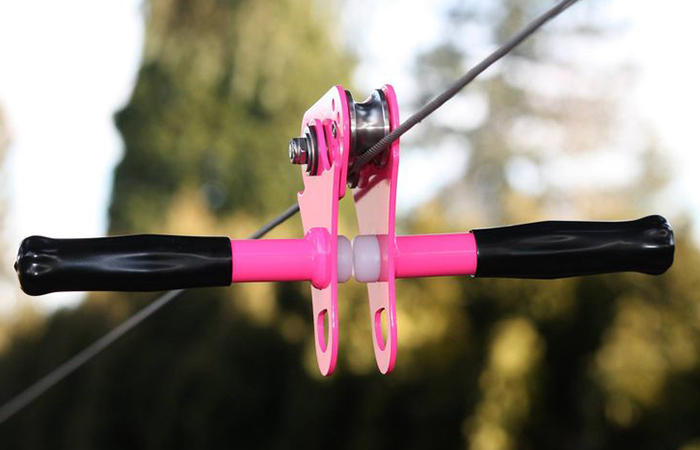 Let us know how to do so and get familiar with some essential zipline accessories for backyard. So, what to think about before building your own unique zip line will be a significant part of making your experience both successful and enjoyable. 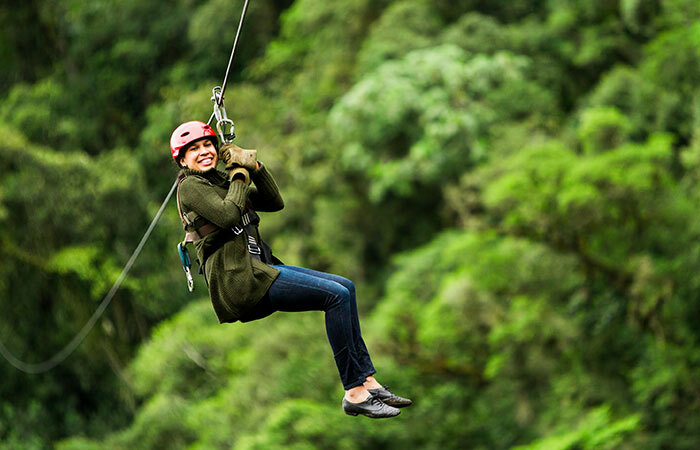 There are many variations of zip lines as well as how they are used; some zip lines are for sightseeing while others may be built purely for speed rather than simple enjoyment. But which type will be the best zip line equipment and style for what you are wanting to achieve? 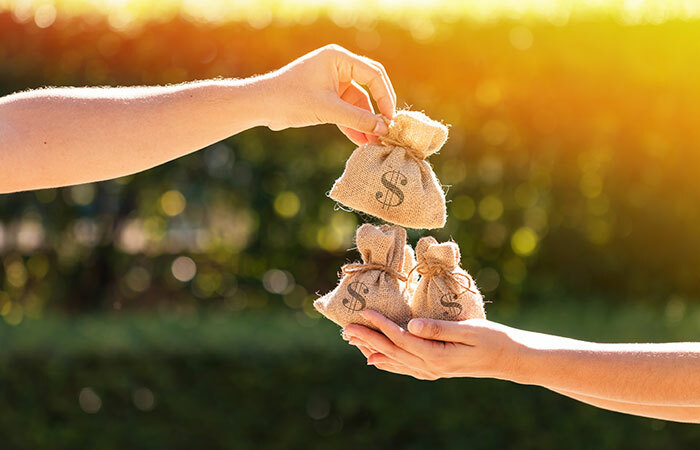 There are many factors to consider, including the environment your zip line will be in, how long it will be, how much you’re willing to spend, and so on. 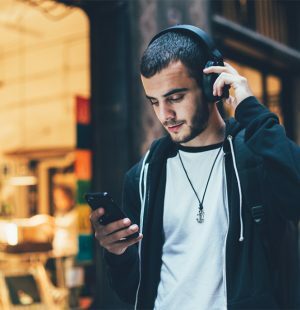 Here are some of the things to consider. Where Will You Set up Your Zip Line? 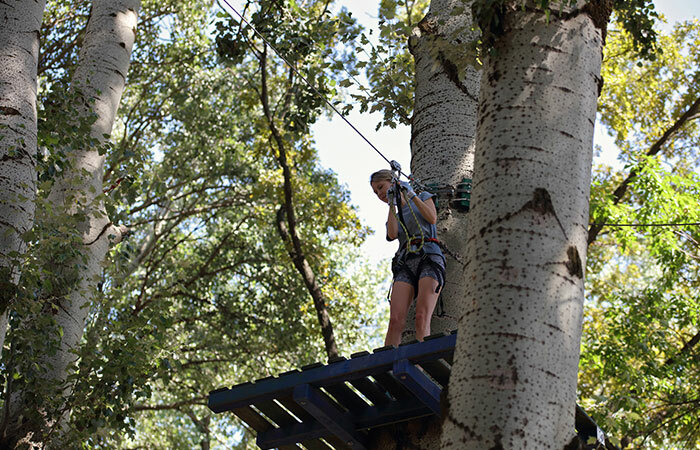 Most zip lines are attached to trees, poles or other surfaces with a platform that can be guaranteed to be solid. 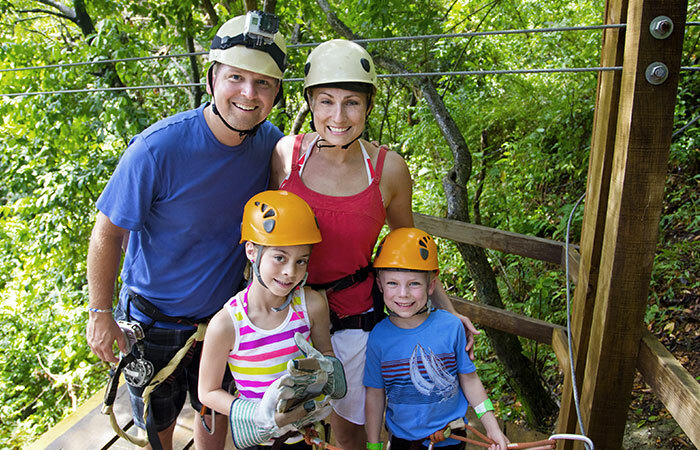 Depending on what design you are considering, many zip lines will use poles, or possibly trees. It is always safest to err on the side of safety, so consider using guy wires to steady the pole or tree and maintain them upright to counteract the pulling force and weight of the cable and the rider. 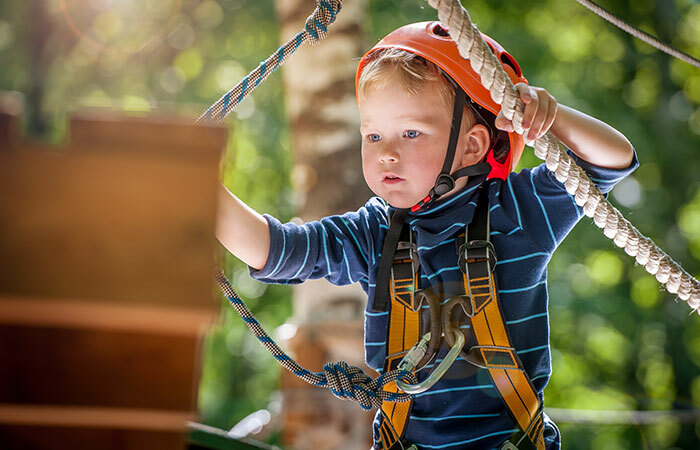 If you are attaching your zip line to items that are unconventional, such as tree houses, playsets, rock outcroppings, or other places that you may not be sure of the strength of the material. In this scenario, it would be mandatory to get the opinion of a qualified professional such as an arborist, engineer, or carpenter. How Much Longer Cable Line Do You Need? 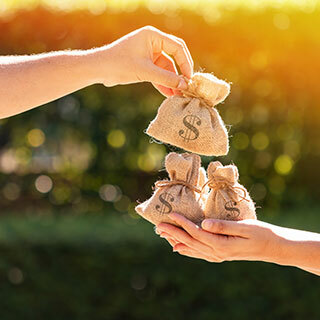 While the obvious answer is that you will need enough to go from the highest to the lowest point, there are other items to consider. Depending upon the weight, diameter, and composition of your cable, there will most likely be some degree of sagging. This will have to be stretched out, but nonetheless, you will have to have enough cable at the end of the run to stretch the cable out. 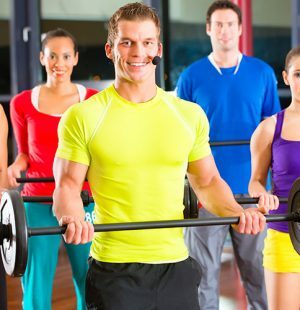 In addition, even the tightest cable, rope or line will suffer some degree of stretch, which means that you will have to consider additional stretching. And if your line breaks, it will most likely be difficult to impossible to splice without having knots or lumps that could slow the ride. In this case, it is better to have too much rather than not enough. How Much Weight Should the Cable Line Endure? The cable will have to endure its own weight and also the added weight of the rider and the materials that are used to support the rider. A cable supporting a 100-pound child with a simple pulley and sling can be thinner than one supporting a 250-pound large adult with safety equipment, brakes, secondary pulleys and so on. There comes a point of diminishing returns; as the cable’s ability to hold a certain weight continue so does the weight of the cable itself. Eventually, the cable will be so heavy that it will need to be supported in other areas besides the beginning and the ending of the zip lines. While this isn’t a problem for logging companies that may transport large logs for miles, it can quickly become cost-prohibitive in the backyard. This is where complications in your setup can arise – careful attention is required here. Designing a zip line must take into account the pitch, determined by measuring the height of the starting and finishing points. 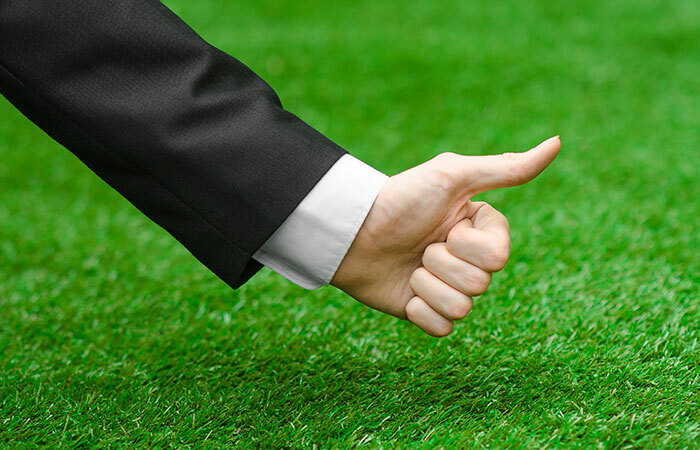 A slightly downhill pitch is ideal; the angle changes depending upon its length. To manage speed, the line should be long enough for friction to slow the rider at the end of the run. Also, your zip line will sag roughly five percent in the middle of the run. If your zip line runs 100 feet, expect five feet of sag at the middle. Thus, you can raise or lower the start or finish points in order to not only manage the speed but ensure the rider can safely disembark once the ride is finished while not dragging the ground in the middle of the ride. What Sort of Harness/Equipment Are You Looking For? There are a number of concerns to consider, based on the age and abilities of a rider. 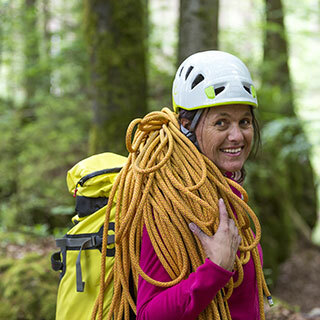 Undoubtedly, a climbing or safety harness would be the safest and easiest for riders, but there will be additional issues of understanding how the harness works and changing it to fit various writers. 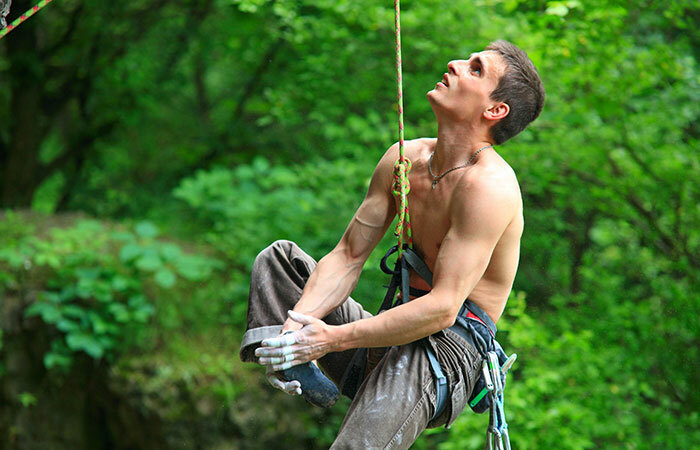 While building your zip line system, you could use a set of straps to sit in, or even a bar to grip. 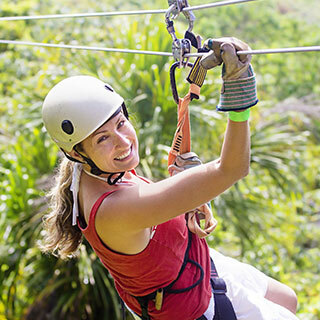 But caution must be emphasized in using these types of harnesses, as they are not as secure as a harness and may cause injury due to the speed of the ride and the distance from the cable to the ground. 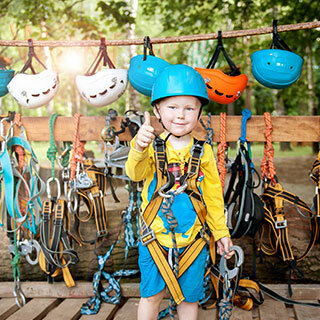 Other items to consider are pulleys, lanyards and straps to hang from the pulley and carabiners to attach the straps or harness to a lanyard. How Much Are You Willing to Spend on Equipment? is always a concern for anything we use. And given the very narrow breaking point between safety and economy, it is a consideration you should examine closely. 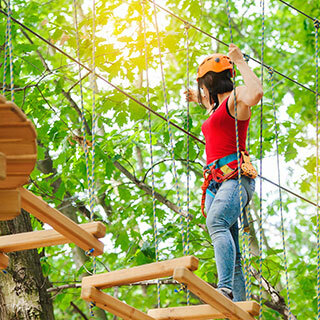 For example, the pulleys used on the zip line itself that is commonly recommended by various experienced users and builders seldom run for less than one hundred dollars per pulley! Yet you can get around two hundred fifty feet of high-quality three-eighths galvanized aircraft cable for just under two hundred dollars. If purchasing individual parts seems overwhelming or inconvenient, there are kits available for just about every level, distance, and desire. Some kits have prices that are less than two hundred dollars, while other kits, built for distance, speed, and comfort will cater to whatever price you are willing to pay. 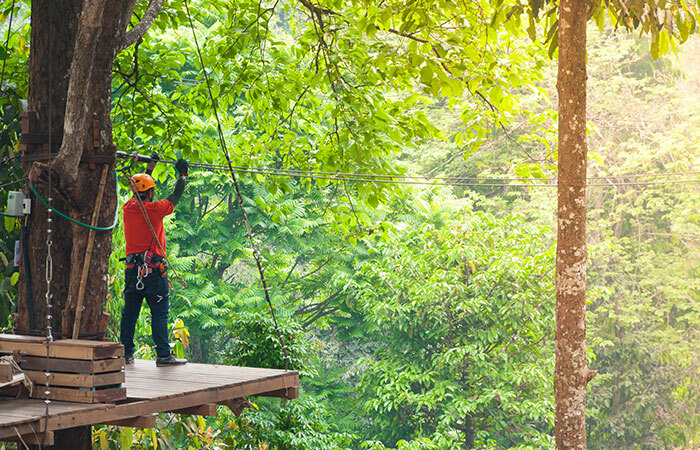 If you’ve decided to take the plunge and build your own zip line, congratulations! 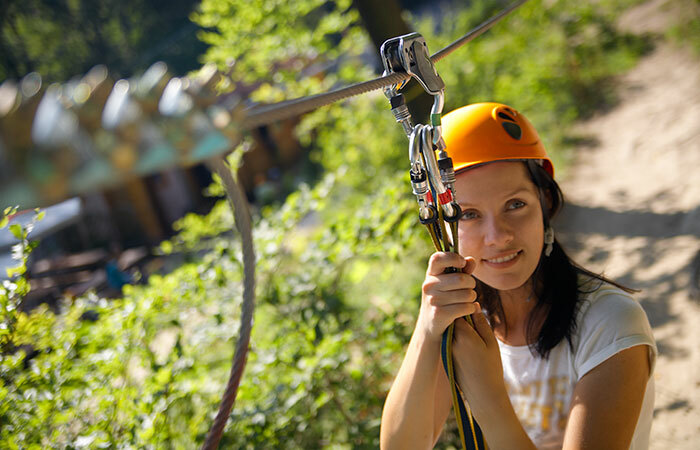 There are a number of things to consider in the process of installing the zip line that you should consider early on. 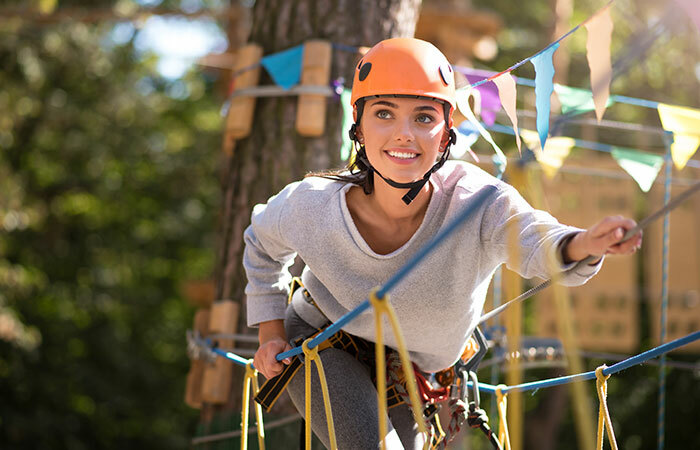 In fact, it may be wise to determine these installation steps while you are in the process of designing the zip line so that you will be able to overcome unexpected roadblocks. 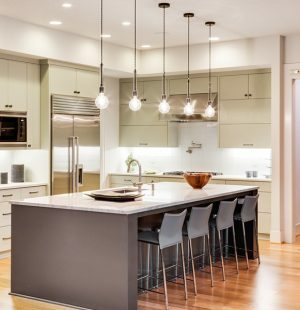 For example, if you know where you want your zip line to be placed and how fast it will go, you can decide whether it is worthwhile to purchase installation tools, or if you would rather rent or borrow the items that you don’t have or are uncommon tools. Some of the concepts and jobs you will have to consider will include choosing two solid objects that will work for your zip line, stretching out and attaching the cable, using temporary clamps that will allow you to check your cable placement, and then adjusting the cable tension in a manner that will ensure functioning in the manner that you want it to. 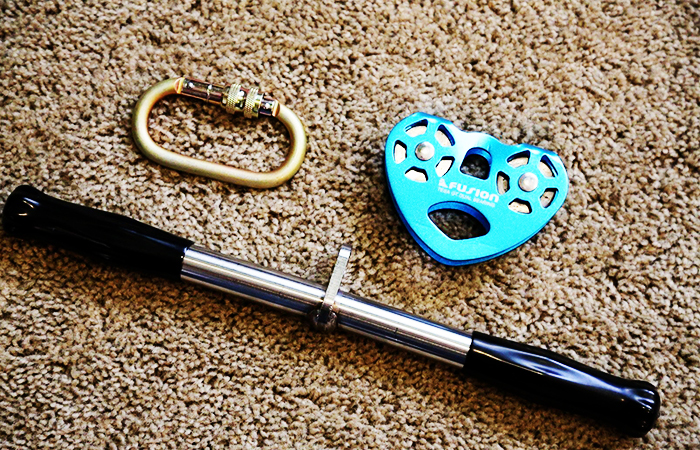 Once your zip line is set up, the final step will be to add the accessories you want before taking your first ride! that will suit your desires, such as height from ground, sturdiness, distance between these attachment points and the pitch desired. Some people choose to use trees that are planted in their area, whereas others may use poles made of metal or concrete. 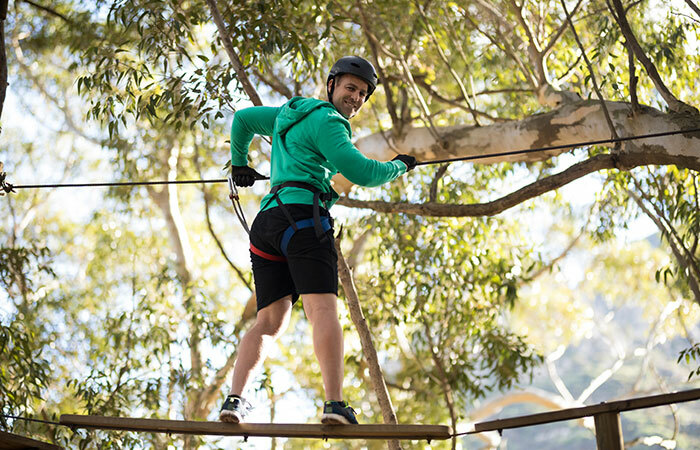 Be certain that there are no obstacles in the proposed path of your zip line, such as branches, fences or wires. Even if it doesn’t seem like an object crossing the pathway of your zip line is an obstacle, think about what could happen in the future as cables sag and other items change. If you do decide to use trees, make certain that they are stable, solid and do not have rotten or unsafe branches or roots. 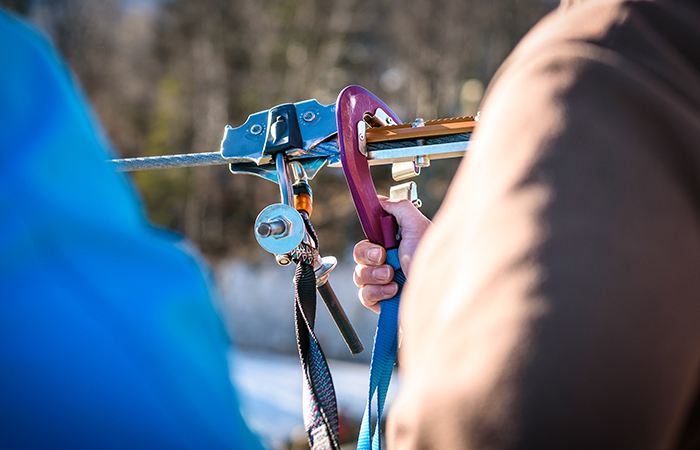 If you’re not certain, it would be a good idea to call someone who has the experience to evaluate your start and end As these are critical to the successful performance of the zip line, it is vitally important to get these two solid objects properly fixed in place. so that you can be certain you have enough cable depending on the distance and pitch you’re going to use. As mentioned previously, there can be as much as five percent sag in the zip line, so be certain that your measurements are accurate. You will have to mount the cable on one of the solid objects, and then pay out the cable from its storage item, whether that be a spool, a box or another method. Longer distances may have better results by placing the cable into a trunk or truck bed and driving slowly to get the cable paid But watch closely as you do this; you do not want the cable to be stretched too tightly as you go as it could create a dangerous situation. Even once you have the other end mounted on the opposing solid upright, a cable stretched too tightly will create a great deal of speed that may be unwanted and, if not built correctly, cause your zip line rider to crash at the end of the ride! Another concern increases as your cable gets longer and is stretched tighter is that one tiny imperfection that may not have any issue in a normally strung zip line may turn into a flying guillotine when stretched to the point of breaking. to your upright with the extra amount of cable that is left over from stretching it out between the two uprights. If you are using a tree, one issue to consider is that, as the tree grows, it will eventually grow around the cable. Prevent this by using a spacer between the tree and the cable, such as waterproofed lumber. Once you have your upright prepared, you will wrap the cable around it – at least twice – and then secure it. If you are using an upright other than a tree, there are alternate means to secure the cable, such as eye bolts that are secured fully through the entire diameter of the upright and attach to the cable via shackle-screw pins or swivel eye jaws. Regardless of which system you use to mount the cable, once it is in place it can be secured with a cable clamp or a fist grip. 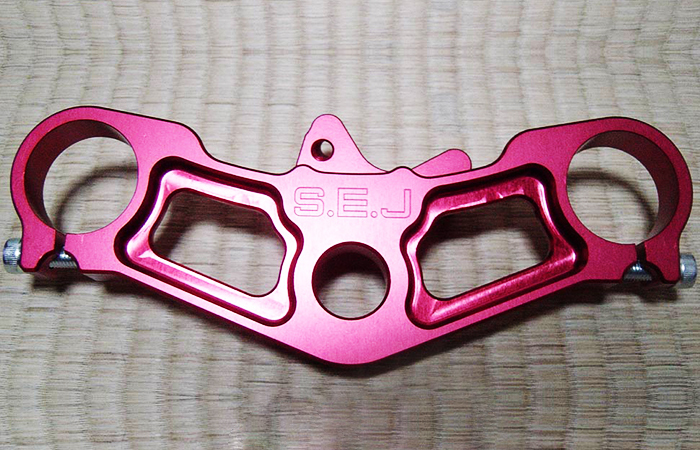 The various pieces of attachment hardware you select should be durable and of high quality, as it will take a great deal of strain during rides, as well as weather conditions and other abuse. Quality locking hardware will also mean that you can place the clamps approximately six inches apart, using three to five clamps to ensure the cable is secure and there will be no slippage once under tension. Once your cable is attached, safe and secure, you can then lift the other end to the opposite upright, lifting it from the ground for the first time. Make use of a temporary clamp to get your line in place, rather than your permanent clamps. This will allow the come-along, winch or another device that you will use to stretch the cable something to grip, but it won’t cause an issue if it is bent or damaged in the process. This clamp must be attached at least twenty feet from the upright, allowing you to hold tension on the cable. This is important – it holds the cable secure as you begin to fasten the free end of the cable by wrapping it around the upright or through the hardware as mentioned in the previous paragraph. 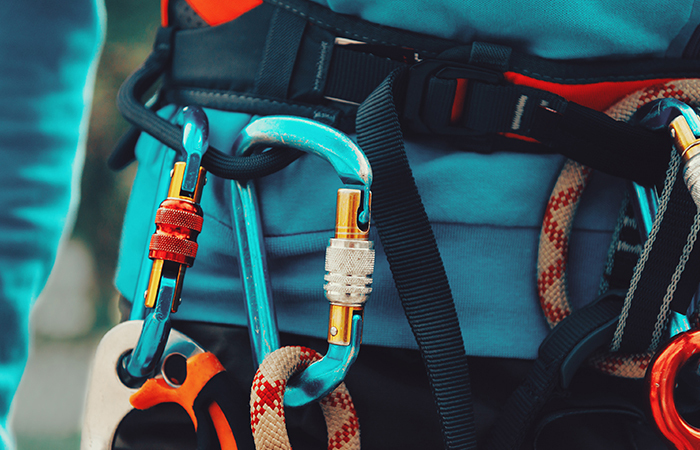 As you make adjustments to the cable’s height or attachments, be aware of both the temporary clamp and the permanent hardware; slippage of either of these could not only damage the zip line and your tools but cause danger to you as well. Once you have the cable in the place where you want it, you can begin to set your permanent clamps, using a minimum of three clamps every six inches apart. Ideally, the clamps should be at least eight feet away from the tree, so be certain that the temporary clamp is farther away than this, and that you have enough cable once you’ve secured it to the upright to fasten the free end of the cable to the main line. This will be the next step in building your zip line. Now that the cable is suspended in the air, you must ensure that you have a safe amount of sagging in the line, but not too much. If your sag exceeds five percent of the total length of the line, you could have issues. For example, too much slack in the middle of the zip line could cause a faster acceleration to the mid-point of the slack, and then deceleration as the rider and equipment attempt to use the built-up momentum to coast ‘uphill’ from the sag. Another issue of too much sag will be a sudden drop in the height of the rider as the cable picks up the weight of the rider; this will cause uneven wear on the cable, and most likely will begin to damage the cable at the spot where the rider’s weight and the slack in the cable equalize. In the worst case scenario, the rider may even hit the ground in the course of the zip line, impacting at some degree of speed when the slack allows them to touch the ground. This could drag legs or even the entire body across the ground or – for heavier riders – cause them to impact the ground with some force. As previously mentioned, the five percent of total length guideline will not only help to prevent this from happening but can also allow for stretching of the cable over the course of time and repeated use. This one will be the last step in installing your backyard zip line. Once you are certain your uprights are solid, your cable is properly strung, has the correct amount of sag and is secure, it’s time to test the entire system. 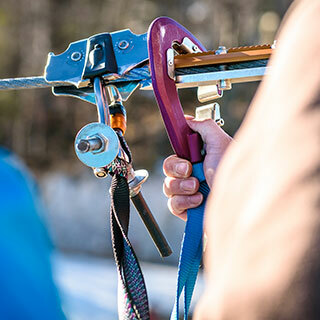 With a simple pulley and lanyard, you should make test runs by gradually increasing the weight on the zip line, allowing it to run the course, observing the results and making adjustments until everything is perfectly set up for you. 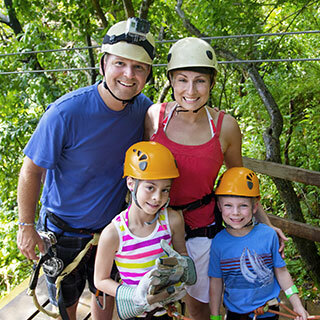 But first, you should have the accessories you’ll want to use on the zip line with you. From your choice of harness apparatus to pulleys and so on. Some issues to examine are based on the weight of the rider, and others based on the speeds achieved. For example, a smaller rider might not have a significant issue with a basic webbing or strap-style harness for the ride, but a larger or heavier rider might find it uncomfortable. Heavier riders, larger pitch angles, and length of the total zip line can affect speed; the need for a friction braking system attached to the pulley or tram versus a passive arresting system at the end of the line may need to be considered. Some riders may be perfectly comfortable sitting suspended in the sling by a lanyard, but other riders may desire an additional attachment to rest their feet upon. It is not uncommon for riders suspended by a single lanyard to spin around, ending up facing in a direction that isn’t on the same path as the zip line. Is that an issue? 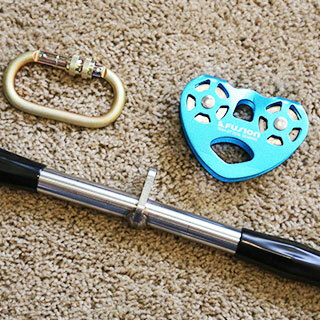 All of these things should be considered when adding the accessories to your zip line. Most commercial systems use a thick, multiple wire twisted cable such as airplane cable (used to tie airplanes to runways in storms and so on). This would be an ideal zip line as mentioned in previous paragraphs, but other cables can be considered as well. As this is the main functioning part of the ride, it would be wise to consult with individuals who have knowledge of cables. Other forms of twisted rope-style cables such as those used in heavy industry could also be considered. These are built for high stress and strain and wear well in outdoor environments as compared to rope, solid cable, wire or other lines that could be used. Given that the commercial standard seems to be the galvanized aircraft cable, this will most likely be the best choice for your backyard zip line. 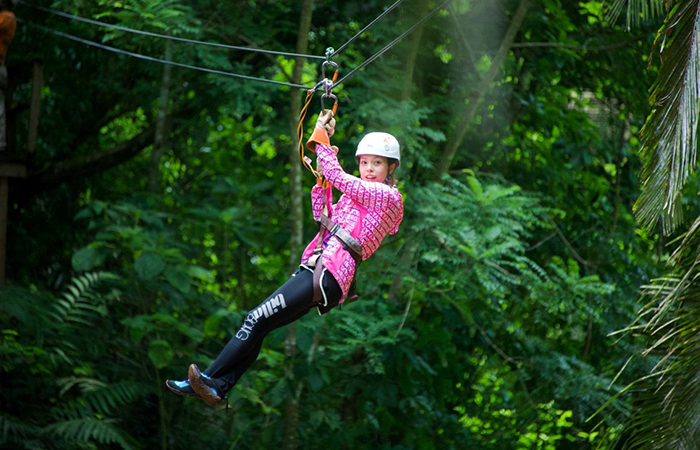 A cable sling is often used when you are wrapping your zip line cable around the upright, especially trees. These are specially made lengths of cable with loops worked into each end, and come in various lengths. 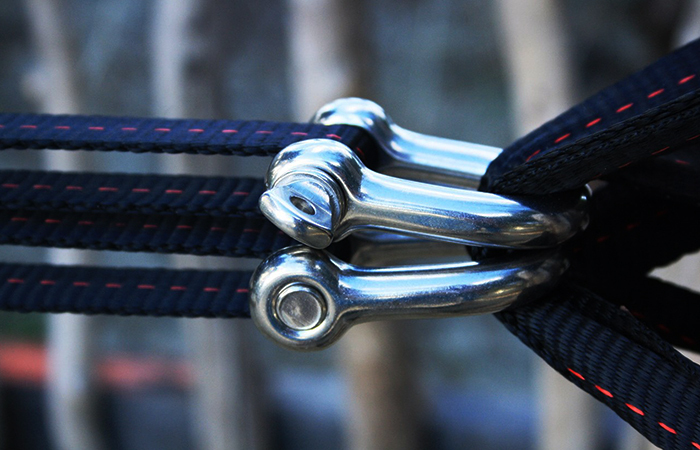 By wrapping one or more cable slings around your uprights, the loops will gather into one area, where they can be connected with a quick link, shackle, cable clamp or a turnbuckle. 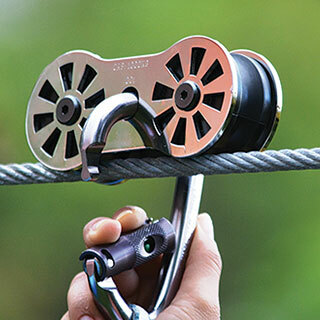 This allows rapid attachment and detachment of the zip line cable itself without moving the attachment points from the uprights. 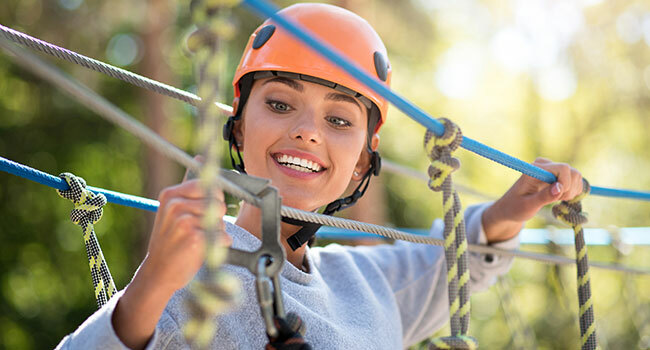 If your zip line cable frays, breaks or otherwise needs to be removed, cable slings will guarantee that you will attach the zip line to the same place, reducing the need to redesign or recalculate measurements. 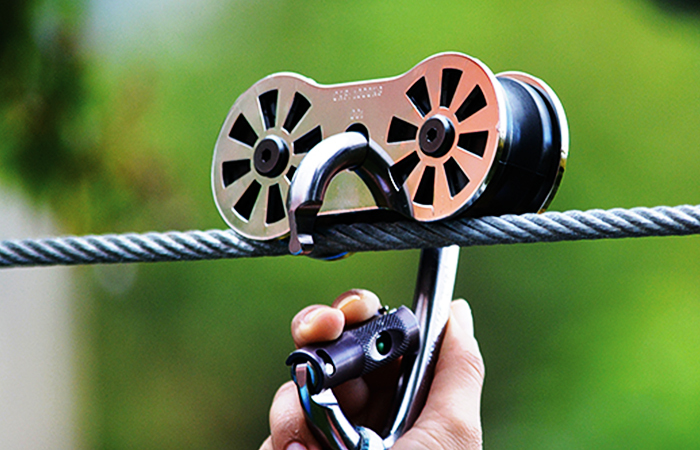 Bungee cords are a commercial favorite to use as a braking system on zip lines. Stringing one or more bungee cords just below and perpendicular to the zip line, the rider’s lanyard will catch these cords, which will absorb the rider’s momentum and slow them. Paracord commonly used to connect a parachute harness to the canopy, consist of a series of small strings inside a woven shell. It was originally created for the military, where it is known as ‘550 cord’ (each line will support 550 pounds). Useful for a number of small tasks (such as securing ends of straps, tying off things that could flap during the ride or even get caught in the pulley, it is important that you investigate the actual tensile strength of the paracord you are considering, as not all paracord is rated to hold 550 pounds. The trolley rests on the zip line cable, and what the rider will use to connect to the system. 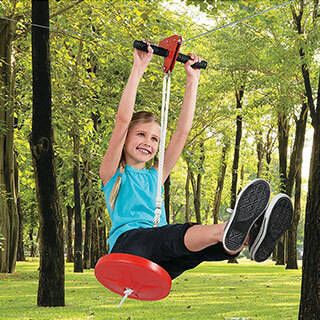 These vary from a single pulley with a handlebar attached to it for low-height children’s systems to lightweight, high tech multi-pulley systems that will achieve fast speeds safely. 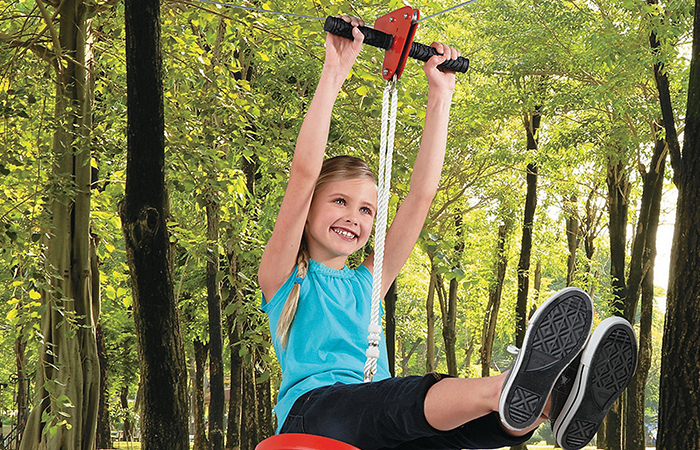 There are many options to examine when shopping for the perfect zip line trolley, such as integrated carabiners versus simple rings, manual brakes attached to the system, quick detachment side construction and a number of other available options. Just be certain that you are selecting a trolley system that is safe to use and meets your needs while still meeting your budget. 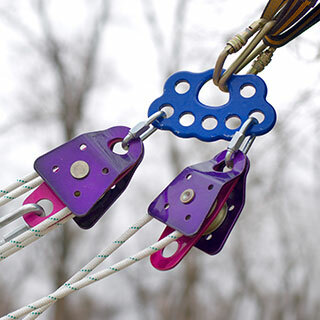 These gated attachment devices are a staple item in rock climbing and mountaineering. Consisting of a metal loop with a moveable, spring-loaded gate that allows ropes, cables or links to attach but not detach without compressing the gate down. 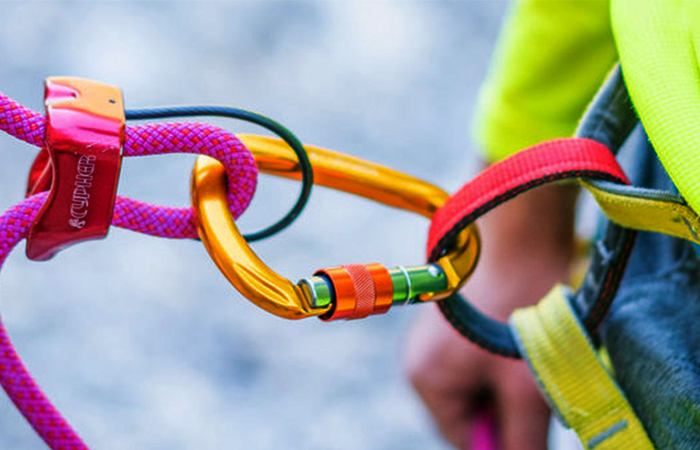 There are now many different varieties of carabiners due to their usefulness in attaching to keychains, clotheslines, backpacks and other daily life items. 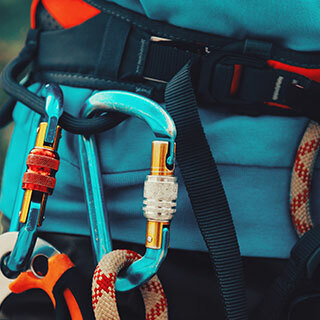 Because of this, be completely certain that the carabiners that you purchase are rated for climbing; carabiners that do not have these ratings could fail under pressure or weight, greatly injuring the rider. While these tend to be more expensive, the safety you pay for is well worth it! 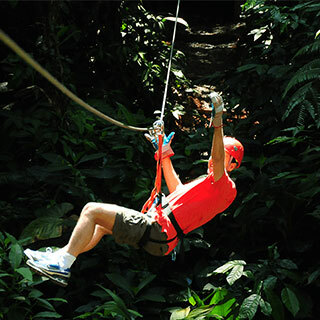 Many commercial zip lines use harnesses to attach a rider to the trolley, and these harnesses tend to either be rock climbing gear or heavy-duty safety harnesses. 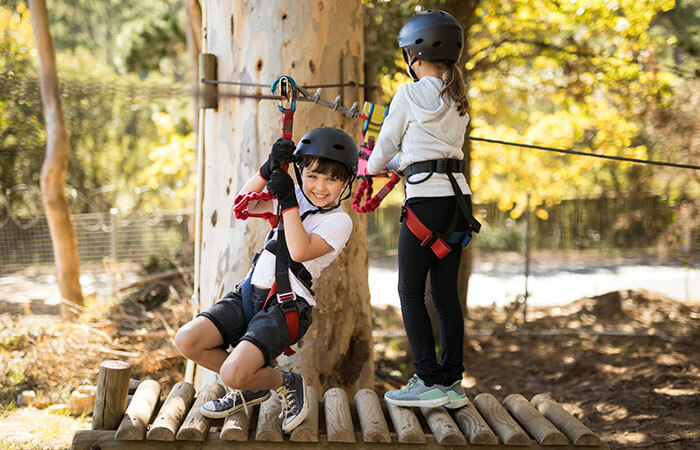 The reason that these more complex sets of straps and pads are used is due to their added safety, given that anyone who rides a zip line will be traveling at a significant speed while suspended a fair distance from the ground. An additional benefit of using a harness is the comfort and support a harness will offer a rider. 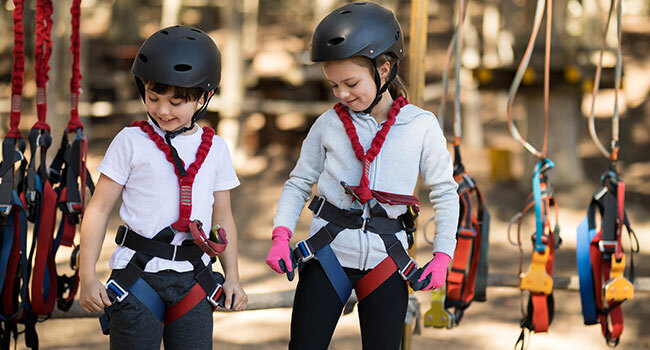 By using a rock climbing harness, the zip line rider can easily get into and out of the harness as well as easily adjust from one rider to another. With multiple attachment points, it is easy to attach and remove the harness from the trolley. 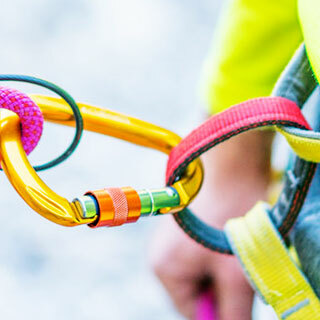 Typically made from webbing or other rock climbing materials, lanyards are the interface between the trolley and the rider’s harness. As such, these are a very important piece of equipment, as the rider will hang suspended from the trolley by the lanyard. 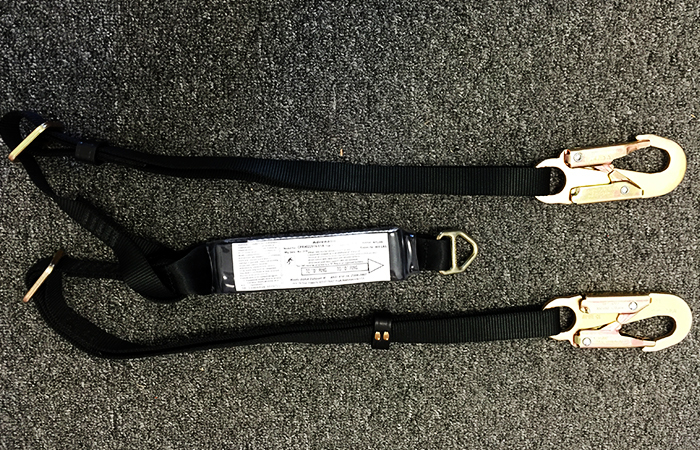 There are a number of different lengths of lanyards that can be used for zip lines. 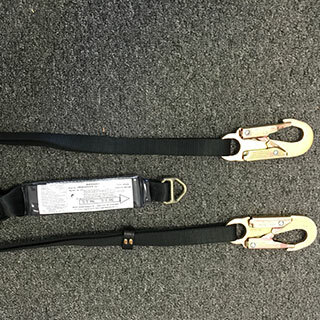 There are at least two attachment points (one for the trolley, the other for the harness) and may have more which will allow chest straps or other attachments to be locked into the lanyard via paracord or carabiners. 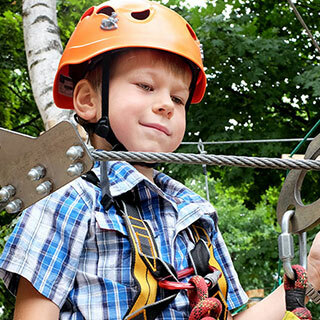 When examining the braking systems, it is important for the design of your backyard zip line to understand that there are two main categories seen in zip line braking systems. Active braking is typically attached to the rider’s system and relies on the rider to activate the system to slow down. The other method is passive braking, which typically engages automatically and will slow or stop the rider without needing the rider to participate in any braking. 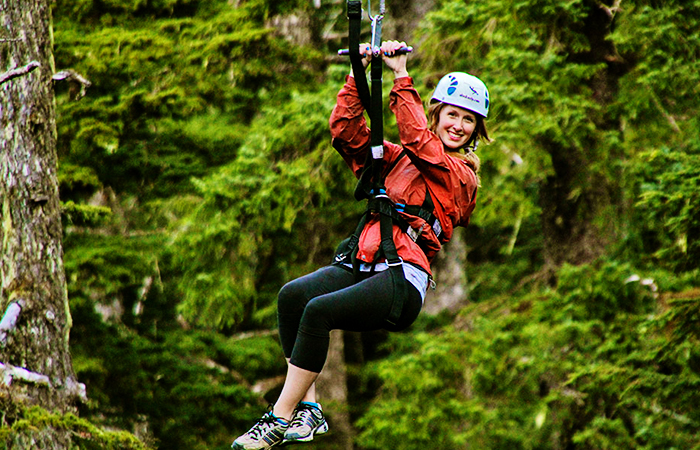 An example of an active brake would be a brake attached to the zip line that allows a rider to slow themselves to a stop by pulling on a handle that applies a rubber pad and slows the rider via friction. Mentioned in a previous paragraph, using a series of bungee cords to catch and slow down a rider would be an example of a passive braking system. 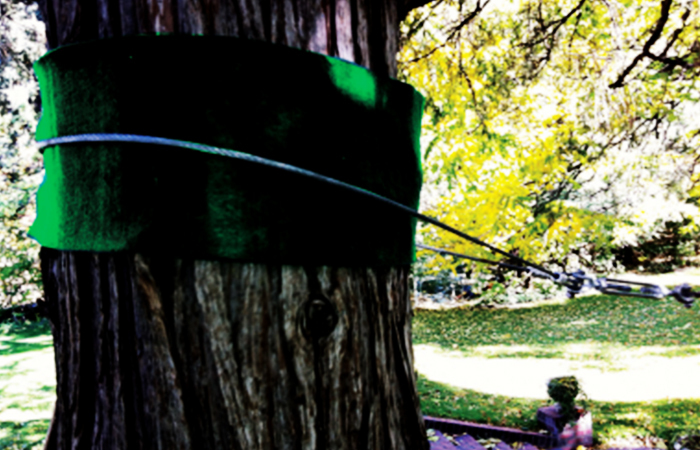 Specific to using trees as your starting and ending uprights, tree protectors are specifically created to prevent the cable from rubbing and pressing into and through the bark on the tree. 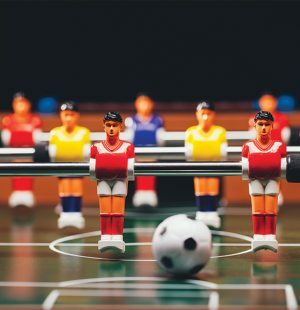 Some kits are commercially available, using a combination of cable slings, rubber blocks, and nylon straps. 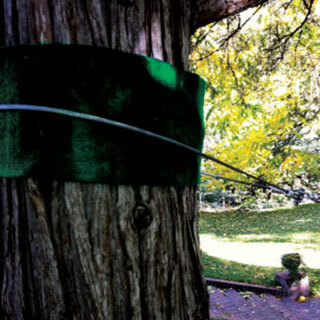 Other tree protector kits can be built using materials easily found in your average hardware store. One example would be using wolmanized (pressure and rot-treated) lumber attached to the tree, either by nailing it to the tree or by using a system of straps or another line to tie them to the tree. 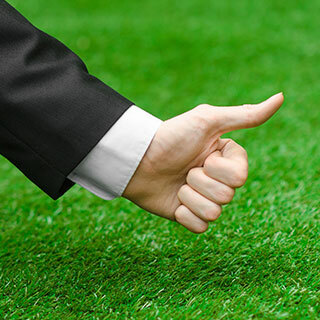 Any of these systems that you might use should be examined to ensure that they will not only protect the tree’s bark but also stand up to the environment. 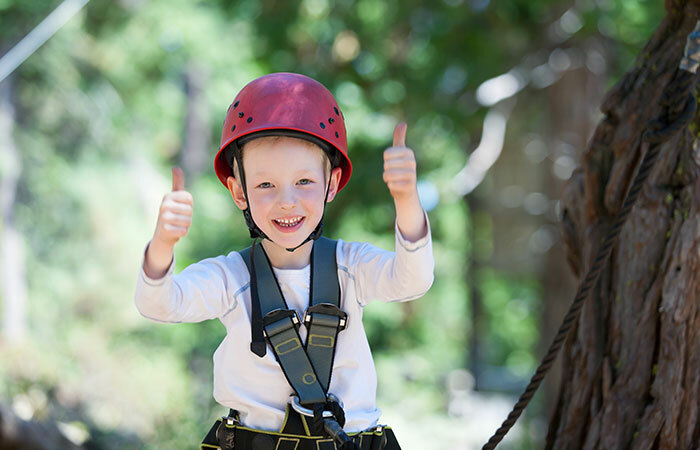 While you may not be required to wear a helmet on your backyard zip line system, good luck in getting onto any commercial zip line system without one. 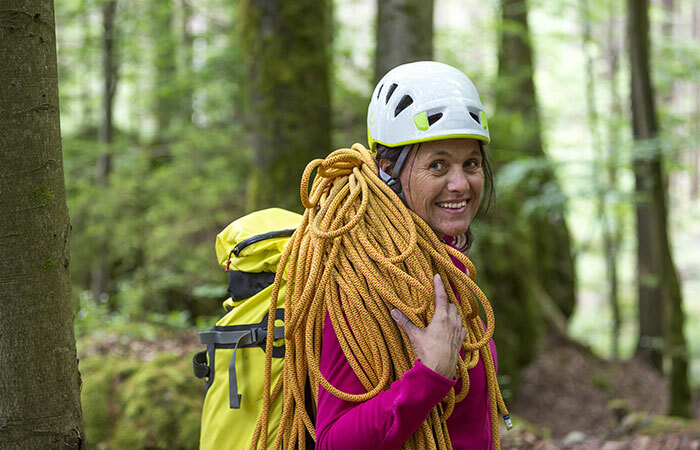 While nearly any helmet that is commercially certified to protect the head would be adequate, many commercial rides use rock climbing or skateboarding helmets to protect the rider’s head. The protection of hitting your head against something is obvious, but there are additional advantages that can be captured by using a helmet. 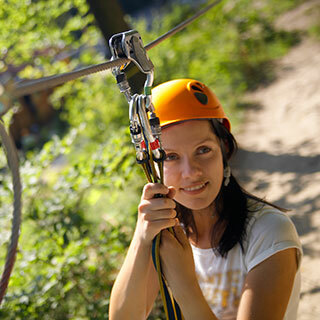 If using a zip line in a forest setting, a helmet will prevent damage from falling objects that may come from overhead. For riders with long hair, the helmet can be used to keep the hair out of your face by tucking it up under the helmet. There are numerous vendors that sell helmets that would undoubtedly suit this purpose. Zip line systems that are suspended high above the ground, have steep pitches or long runs would be much better served by using a harness. But for a short run, moderate height and slower speed zip line that may go from a playhouse to the ground could certainly use a straight handlebar. A straight bar could be created by mounting one on a trolley or purchasing a straight handlebar that has its own pulley system already made into the unit. The difficulty with handlebars is that they depend upon the grip strength of the user, which means that when they can no longer hold on to the bar, they will fall off the system. This is dangerous, even in zip lines that are low to the ground, so beware of how they are used. For those backyard zip lines that aren’t set up for a harness, a seat system could be used instead. This can be anything from a wooden seat with holes bored into them to pass a knotted rope through to actual ‘Swiss seat’ style systems, which are typically made for impromptu rappelling. There are even plastic enclosed swing seats much like those that are made for toddlers in swing sets. Whatever design you choose, one must realize that seats are safer than straight handlebars, yet still present a risk if the rider isn’t secured into the seat. If a rider slips, they could fall from the seat to the ground along the zip line route, or could even have a limb caught in the seat mounts, which could create dangerous results. Even more dangerous would be to create your own homemade seat, which won’t be safety tested at all, and could fail at any time. But if your zip line is short and has a very small pitch, zip line seats might be a good place to save on the budget. 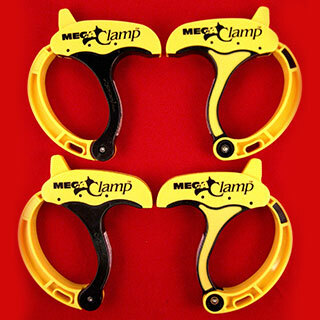 These clamps often consist of a U-shaped bolt that fits into a knuckled base, which looks quite like a flat plate with one or more cradles on them to hold cables. 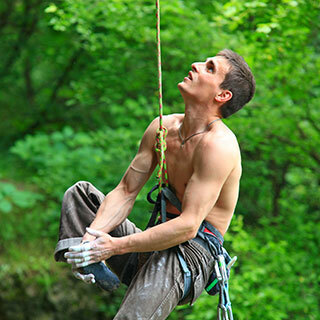 Cable clamps are often used for high wire rigs, slackline setups, rope obstacle courses, and zip lines. 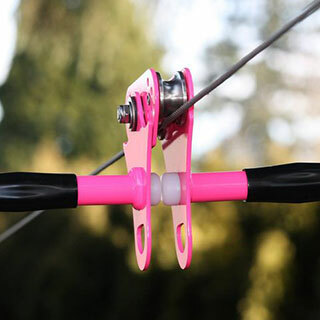 These can also be found labeled as cable clips or cable stops, and you should use a minimum of one per every six inches of end cable to ensure the termination of the zip line, and as close one to two inches apart. 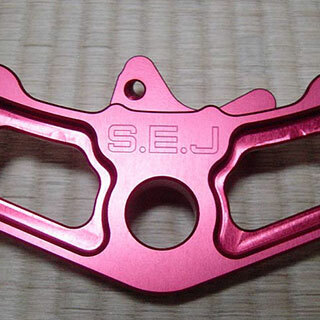 Cable clamps are typically made out of stainless steel or galvanized steel. Quite like cable clamps, suspension clamps are used to clamp something to a cable. 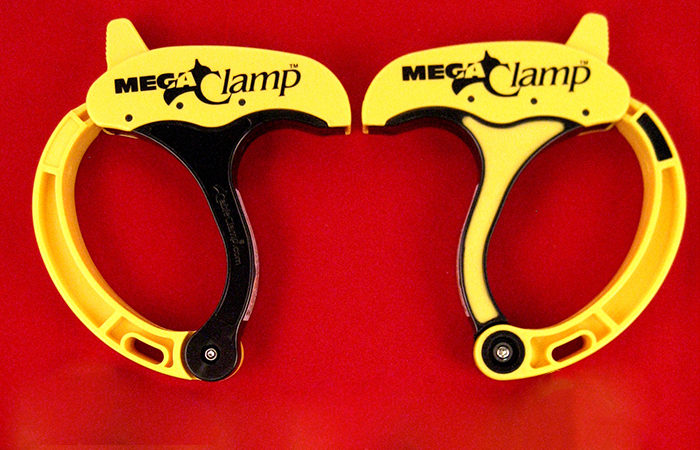 However, these types of clamps consist of at least two flat or curved plates that are placed on each side of a cable and then clamped together by slipping a bolt through one or more holes in each side of the clamp. Suspension clamps can be used to secure cables together, but can also be used to secure a cable to another surface, such as an outrigger arm that is used to hold up sagging cable or to attach cables to cross members in towers. 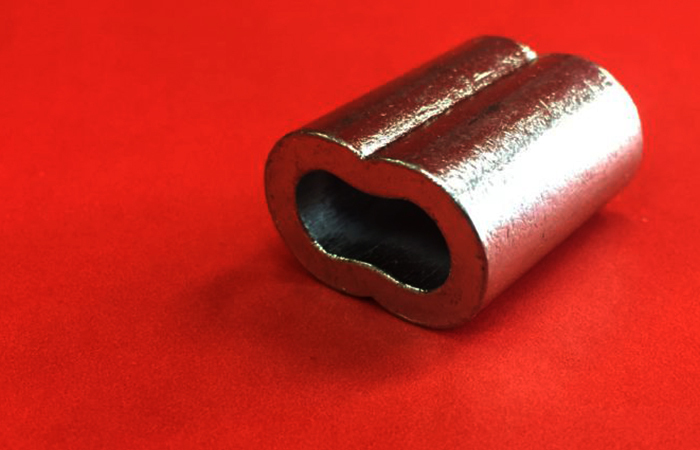 When a cable line or wire rope is to end in a loop a thimble is used to make certain that the cable or wire doesn’t bend too tightly. This is important, especially when the cable is terminated is carrying a lot of weight or is under a great deal of tension. 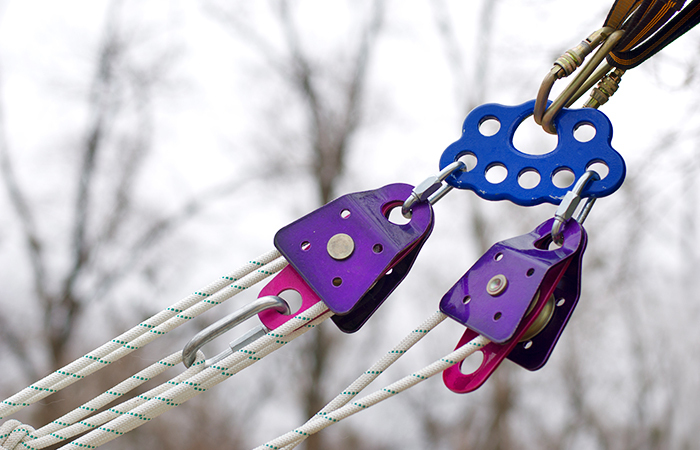 By making certain that the loop maintains a shape, the thimble can also reduce or prevent abrasion inside the loop, which will make certain that any cable in your backyard zip line is safe as possible for use, and will decrease the need to replace components repeatedly due to friction or breaking. To stretch your cable, a cable grab, or cable grip can be used to grip the end of the cable. The other end of the cable grab is attached to a come along, winch or whatever you plan to use to pull the cable taut. A cable grab tool will pinch the end of the cable in a vice-grip; correct sizing of a cable grab depends on the cable diameter and the length, as the longer the length is, the tighter the cable grab must clamp down. However, if damaging the end of the cable is an issue, it may be better to create a temporary loop with a thimble and a series of cable clamps. This is not a tool, but an important concept; the working load limit is the maximum force that may be safely placed upon a piece of equipment that is suspending something above the ground. This may also be seen as the greatest amount of force each component can handle routinely. The rating is usually marked on the equipment piece or the package it comes in, as a weight limit or a ratio of the working load limit to the calculated failure limit. However, note that the working load limit applies only to new items that are in normal working conditions; any previously used weight bearing or tensioned item will have its working load limit decreased significantly. These copper sleeves can be slipped over any two parts of a cable or cables to create a permanent, crimped on closure. This is done by swaging, where the shape and diameter of the sleeve is altered by forcing the sleeve to close and clamp over the cables. Because of this process, a swaged cable is usually very difficult to get off of the cables, so it is recommended that you are certain you want to keep the two cables clamped together. Zinc plating helps the copper sleeve to resist corrosion from rain or other damaging factors commonly encountered. A fist grip is another type of clamp; these clamps are a two-part clamp where each part is a mirror image of each other. Typically, a fist grip has a bolt built into one side of the clamp, and a hole in the other side, with a U-shaped bar connecting the two. When each bolt is slipped through the hole, it surrounds the cable, and the grip is tightened by placing a nut on each bolt and tightening them down to compress the cable or cables inside them. 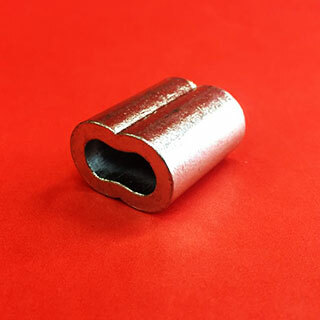 A shackle is also useful for connecting cables, especially those that have an eye (such as a cable sling, or a cable that uses a thimble to make the eye) as well as connecting to hardware that could be mounted on a start or finish point, such as an eyebolt. Shackles most often look like a U-shaped piece of metal with a bar or bolt going through the open end. The bar can be removed in order to allow the cable or eye in, then replaced and secured with a pin to hold everything together. 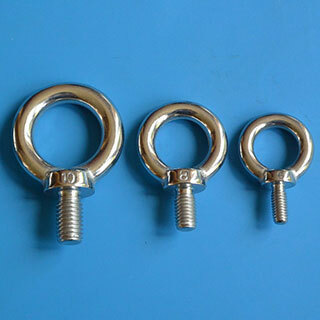 Formed by taking the non-threaded end of a bolt and twisting it into a loop, a nut eye bolt can be placed into a pole, a tree or other upright to create a secure anchor point. 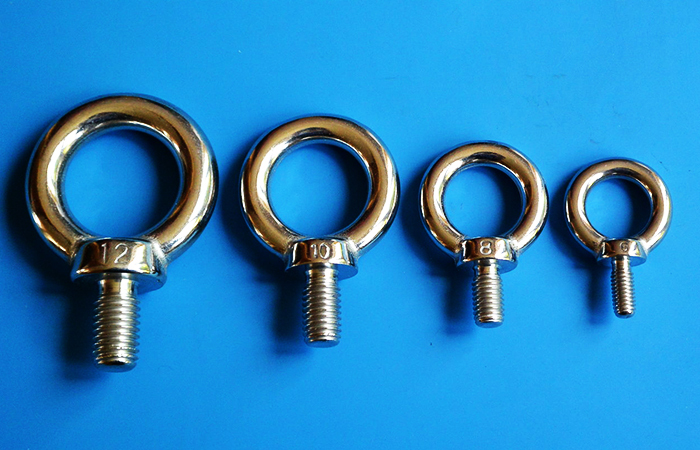 Anytime you need to attach the cable to an item that must be secure, eye bolts with nuts will not only create a fixed point but can be adjusted by tightening or loosening the bolt to move the eye itself towards or away from the upright. 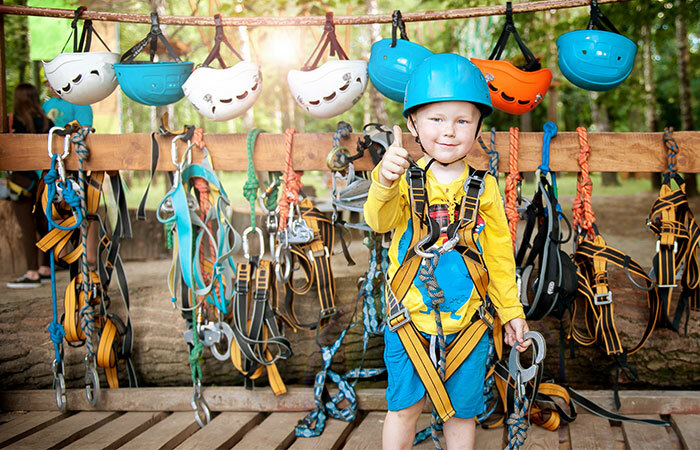 There are any number of additional zipline accessories for backyard installation, such as a drill to drill holes or to turn sockets, wrenches of various sizes to turn nuts, a winch or a come-along as well as rope for assisting the cable lifting, stretching and securing the zipline, and personal safety items such as heavy gloves and eye protection while handling cable, and hearing protection when using powered tools. 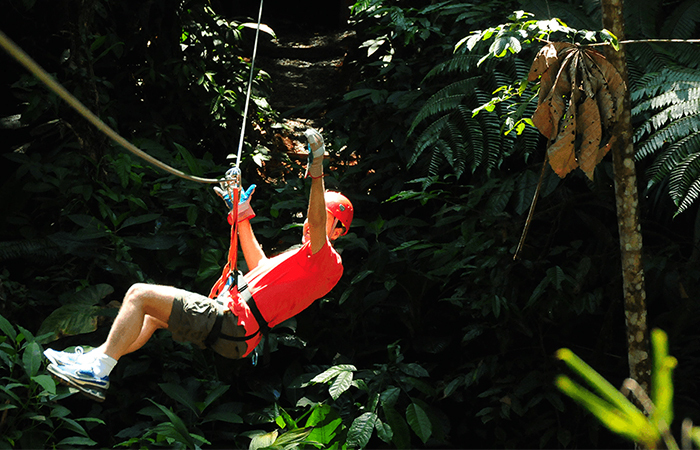 Where your zipline is located and how you are creating and securing it will decide which tools will be needed. 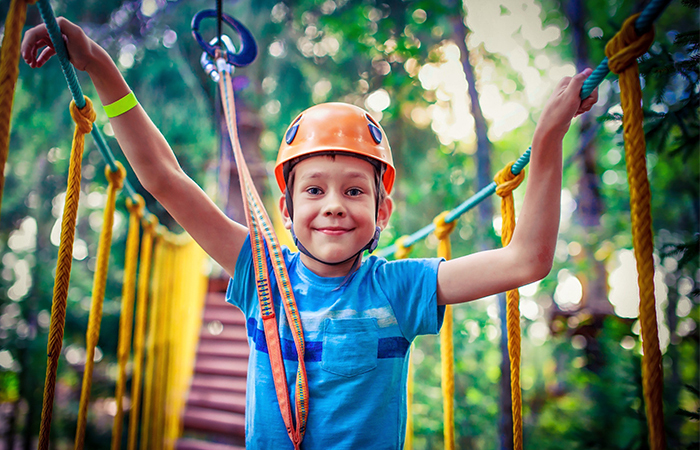 While building a backyard zipline isn’t a difficult task, it is something that isn’t done every day unless you are a professional installer. As such, there are many useful tips that we have gathered from across the internet that may help you with your zipline and zipline accessories for backyard installation. 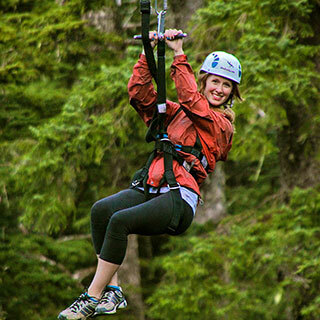 Some places either don’t have trees, of the trees, are not of sufficient size or height to hold up a zipline. In these instances, you may have to use poles with guy lines to hold them upright, or even create your start and finish points with concrete or other sufficiently strong materials. Regardless of what you choose for your uprights, they must be strong enough to hold the zipline under tension and while be ridden upon. 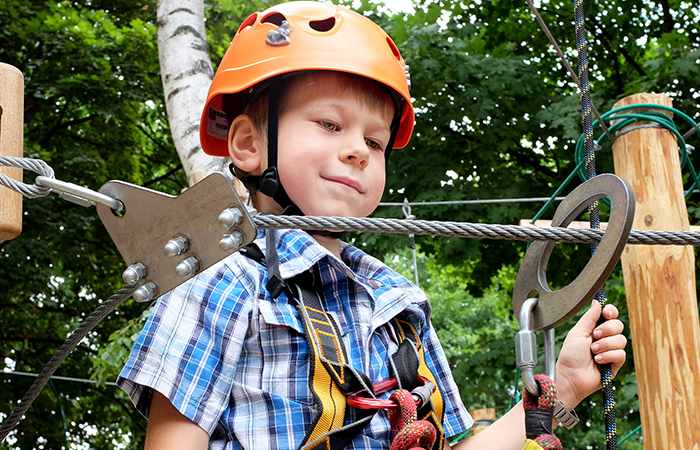 Even if your zipline is for kids to ride, it is better to ‘overbuild’ the zipline than to risk someone’s safe ride. When you are in the process of designing your backyard zipline and purchasing supplies, ensure you have enough cable and/or rope to complete the assembly. Even if you have chosen to use a zipline kit, there must be enough cable to reach from upright to upright plus quite a few feet left over to wrap around or otherwise secure the zipline and provide slack to clamp the cable. 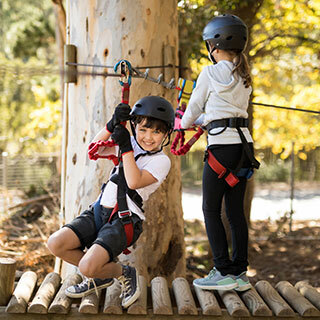 In addition, ropes can be useful to help lift and stretch the zipline only if they are long enough – better to have too much rope than not enough! 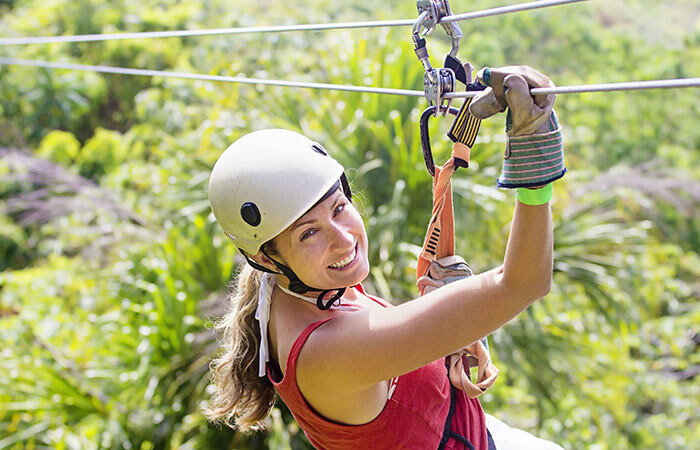 Depending upon the location of your zipline and who will be using it, there could be different permissions required to create, assemble and use your zip line equipment. 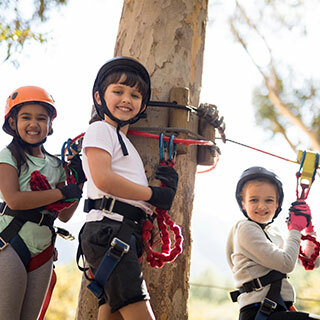 One issue to investigate will be if there is a permit needed; most areas will not regulate backyard zipline building specifically, but because of the concerns of falls and other accidents, may require inspection or a permit before use. 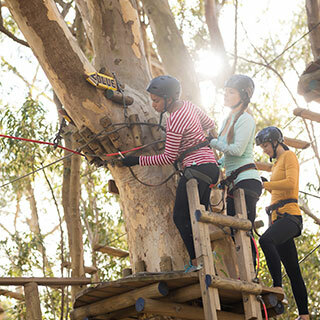 In addition, if the zipline is to be available to the public, or you will charge a fee to use it, there will undoubtedly be additional regulations to consider. 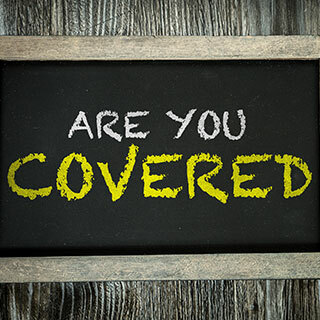 Even if not required by your location or community, it is often a wise decision to purchase liability insurance for yourself and for your equipment. 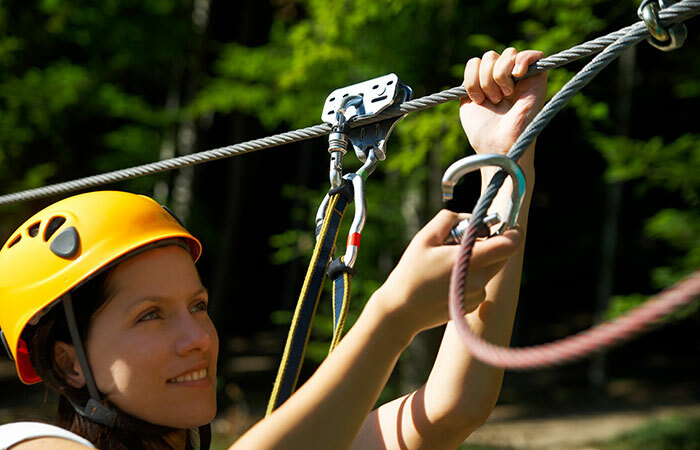 This will help to protect you from legal actions if they should occur, and if there is an injury or another issue when someone uses your zipline, it can absolve you of responsibility. 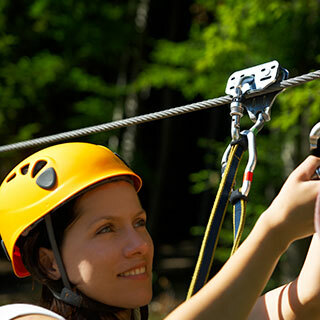 In addition, insurance can help to repair or replace zipline parts if they wear out, are damaged by the environment or create an unsafe zipline. After all, it would be frustrating to invest all the time and effort to create your backyard zipline, only to have to dismantle it at a later date. 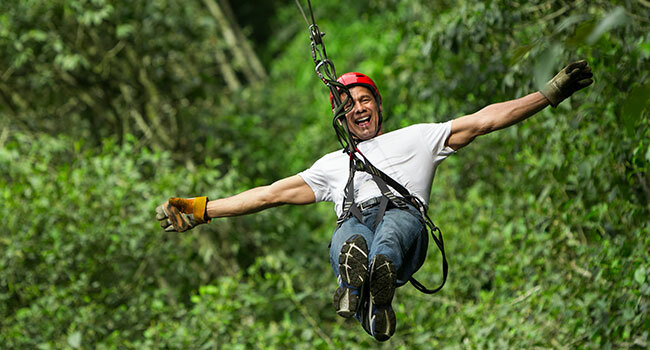 It is not uncommon for people who ride a zipline to enjoy the thrill of flying through the air at speed. But it is a slippery slope between a zipline that is fun to ride and a zipline that is dangerous or so fast and steep that it is scary rather than fun. 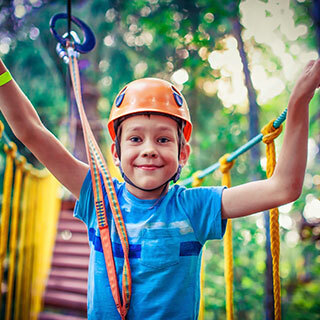 Each backyard zipline will be an individual creation, but at the same time, must be built within dimensions that will provide the most enjoyable ride. 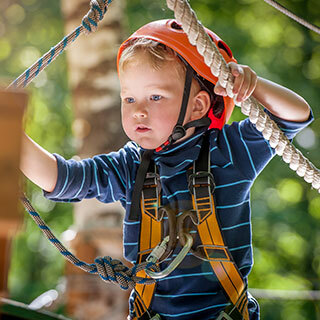 This consideration is especially important for ziplines that may take all ages of riders, from kids to older adults. Tying in with the idea of building within your limits, you should also be aware of health conditions that riders have. You must protect your health as well as be responsible for knowing the health issues of the riders on the system. It would be a terrible thing for a rider to have a health issue such as a cardiac condition that could lead to a heart attack, or pain in joints that could easily be managed by a little extra padding in the harness, and not know about it. Ziplines are for fun, not for injuring anyone. 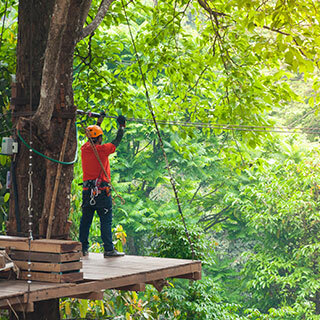 Once your zipline is assembled, it may be tempting to climb aboard and ride it immediately – but this is a not a good idea! 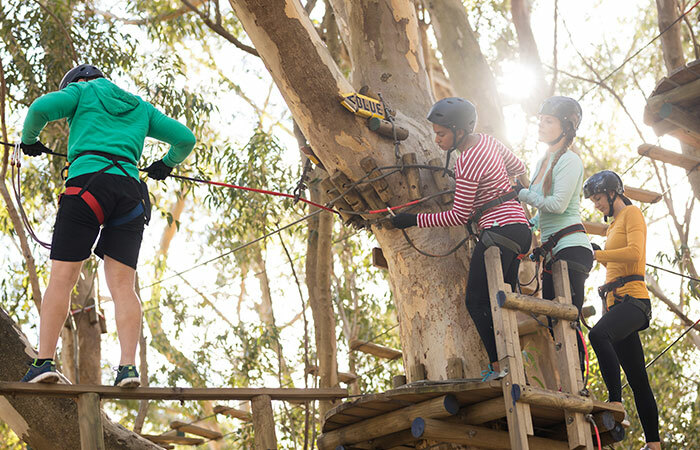 You should test your backyard zipline before anyone rides it by using a ‘dummy weight’. It is a good idea to use the actual equipment you plan to ride with and load it with the same weight of the heaviest rider you expect to use it. This will let you examine the ride in action, and see how low the cable will bring the rider to the ground, how close to obstacles the dummy will come, and how well the system stops the rider at the end. This will allow you to make adjustments to the system to verify it is safe and reliable. 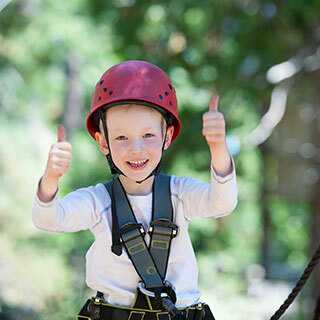 As with any outdoor equipment and event, a zipline must be used with safety in mind, especially with new riders or kids. In order to do this, there are a few guidelines you will want to enforce. Loose clothing or items that might get caught in the trolley, a pulley or other apparatus (such as scarves or jewelry) should be taken off or exchanged for tighter fitting clothes. In the same manner, riders with long hair should tie it securely, or put it up under the helmet to make certain it isn’t caught in any of the equipment during the ride. Regardless of the age of the rider, there should be another person who is there when the rider takes off from the starting point. Without someone to supervise the ride, there will not be anyone available to assist if something goes wrong. 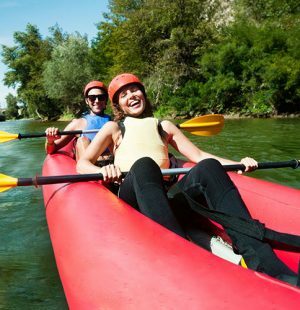 Examples include if a piece of equipment malfunctions, the rider has a crisis (such as fainting), or the equipment gets stuck at a certain point and there is no way to get to a safe point to disembark. These are all things that the average rider most likely wouldn’t be able to rescue themselves from; they will need assistance from an additional person in order to resolve the issue. 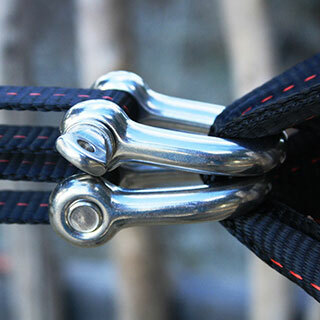 If you are setting up your zipline to use eyebolts, make certain that the washers you use on the threaded end of the eyebolt are wide enough to prevent the nut from being pulled into the upright. 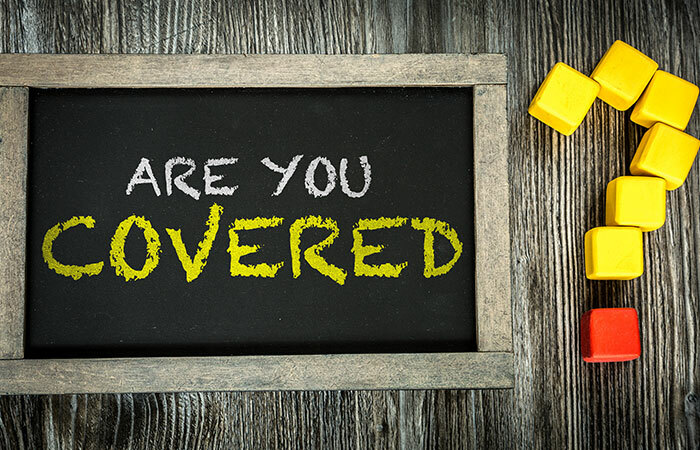 If you have decided to use a strap or a cable sling, be certain that the item you’ve chosen are rated well beyond the working load limit to insure they will not deteriorate under stress. If you choose to wrap your strap or cable around a tree, utilize a protective layer that will not only keep the strap or cable from digging into the tree (which will eventually kill it) but also allow the tree to expand and shift form as it grows. 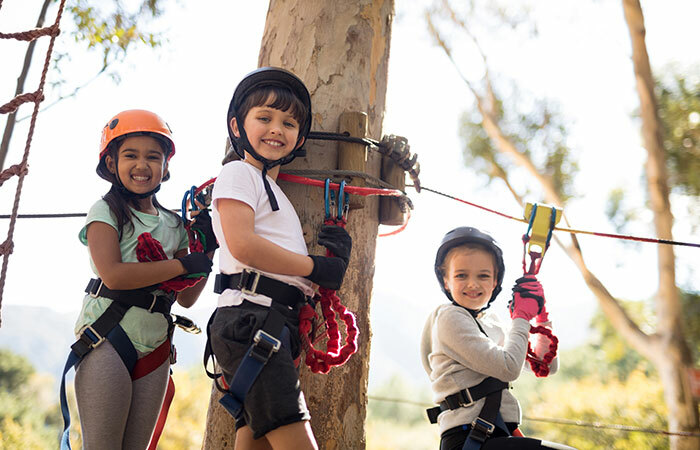 Blocks of wood, threading cable through a hose or padding will ensure that your backyard zipline works for years of enjoyment without damaging the environment. A backyard zipline is a wonderfully entertaining project that can provide fun for years. 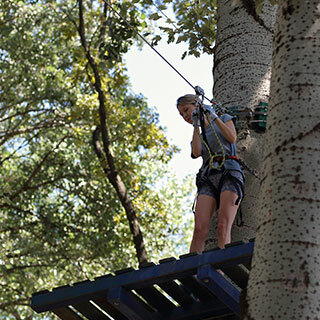 As you can see by this article, it isn’t anywhere near as difficult to create your own zipline, whether from a zipline kit and additional zipline accessories for the backyard, or simply assembling one from your own imagination. Safety is paramount because of the speeds and the height the ride takes place at, but these issues are easily addressed, and simple to manage through careful use. 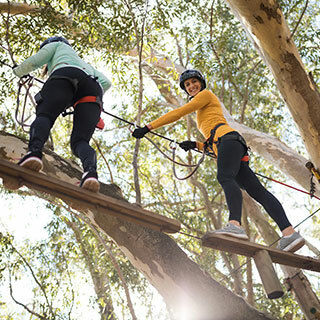 So, give it a try – regardless of whether you have trees or not, you can purchase zipline accessories for backyard ziplines and have your friends and family gleefully flying through the air in no time.